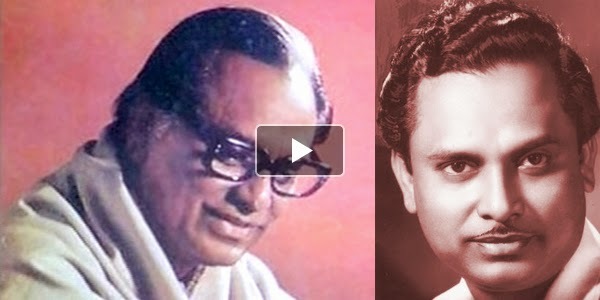 Dheere Dheere, Aa re, Badal, Dheere Aa, So raha hai, Mera Bulbul, Shor gul na macha…..
Acknowledged as the Grandfather of Indian Music and one of the pioneers of popular music in Bollywood, Anil Biswas’s own composed lullaby from his movie – KISMAT – today, serves him as his best tribute as the Musical Monarch sleeps into Eternality! July 7 marks the birth anniversary of the legendary music director who ruled Bollywood in the 40’s and 50’s and is regarded as the mentor for distinguished singers like Talat Mahmood, Mukesh and the queen of melody Lata Mangeshkar. 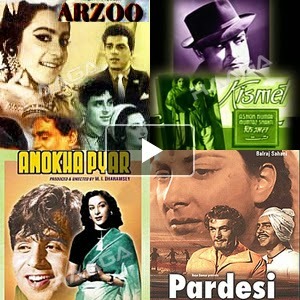 Raaga.Com remembers the great music director in a two part series. Anil Biswas lovingly addressed as ‘Anild da’ was born on July 7, 1914, in Barisal, now in Bangladesh. Anil da, displayed his wizardry in the musical arena from his tender age. When other children of his age drew flaks for their pranks, young Anil won applause for his tabla performances. After completing his matriculation he chased his musical pursuit, and landed at his friend’s house in Calcutta, Pannalal Ghosh, the world renowned flautist, hoping to get break through his contacts. But nothing materialised and he had to be satisfied with a hotel job. Destiny smiled when he had a chance meeting with famous magician Manoranjan Circar, who frequented the hotel. Impressed upon Anil da’s singing ability he got him a music teacher’s job to the two children of Bengal’s Inspector General. Further, the recommendation letter from Kazi Nazrul Islam, the famous Bengali poet, fetched him his first private song. ‘Arzoo hai dam mein jab tak dam rahe…’ for Megaphone Company. The stupendous success of the song drew film maker Hiren Bose’s attention and he packed Anilda’s bag to Mumbai introducing him to tinsel town with his movie – DHARAM KI DEVI (1935) as a full-fledged music director. Next, in 1936, Biswas joined National Studios giving hits like – JAGIRDAR, WATAN, AURAT etc. However, with closure of National Studios in 1942 Biswas joined Bombay Talkies and changed the course of the company producing smash hits like – JWAR BHATA, CHAR AAKHEN, HAMAARI BAAT, PEHLI NAZAR, MILAN and of course the super duper hit movie – KISMAT, starring Ashok Kumar. The movie till date is regarded as India’s biggest commercial success as it ran for over 200 consecutive weeks in a single theatre in Calcutta. Trade Analyst revel a lion’s share for the movie’s success was Anil da’s foot – tapping popular music, particularly, the patriotic number – Door hatoon aai duniya walo Hindustan hamara hain… The song had generated such a patriotic fervor that crowd gave standing ovation when the song appeared on screen. And believe it or not, theatre owners repeated the screening of the song on people’s popular demand!!! NOTE: In the next issue read about Anil Biswas major contribution to Indian film industry.